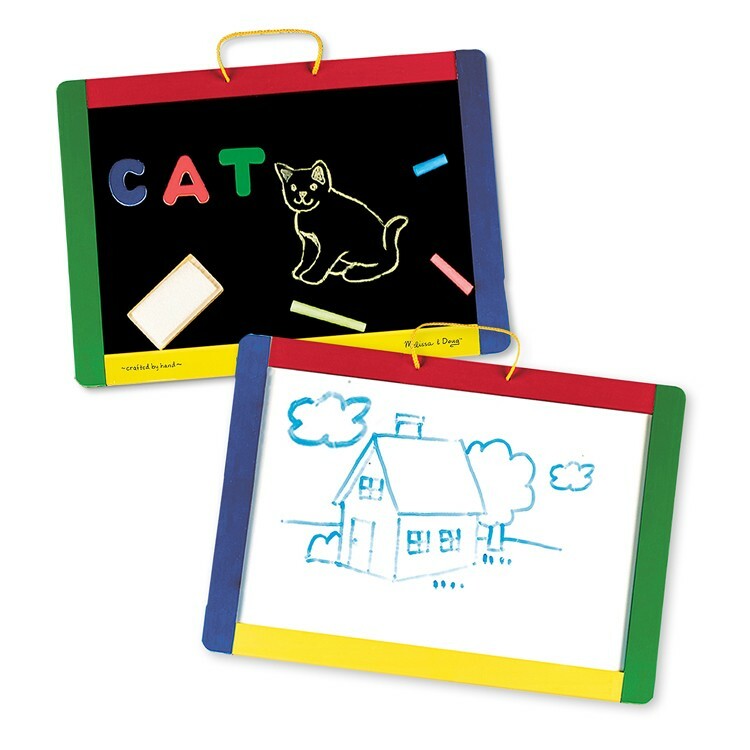 Play school, learn to write, draw pictures again and again with this fabulous magnetic combo chalk and dry erase board by Melissa & Doug . If you have a young, inquisitive child who's dying to get started in school, why not bring school to you with this fabulous combo chalk/dry erase board. 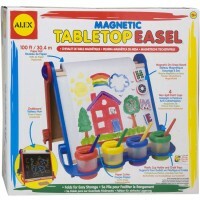 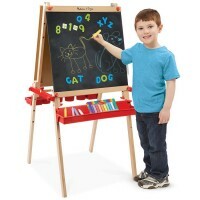 Magnetic Chalkboard Dry Erase Board by Melissa & Doug has everything you need for drawing, doodling and spelling in one: a dry-erase board for writing, a tacky surface perfect for magnetic alphabet pieces, and a standard chalk board. 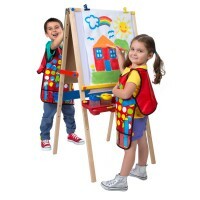 It's colorful and comes with a handy, ready-to-hang string. 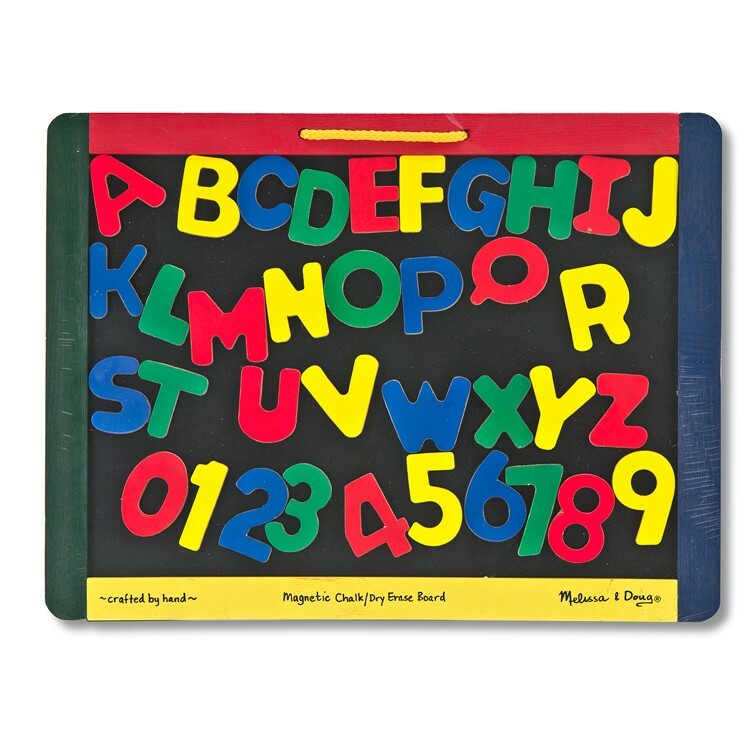 Hey, we'll even throw in 36 magnetic numbers and letters, colorful chalk, a dry-erase pen, and an eraser. 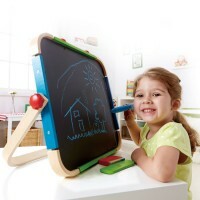 You'll be ready to set up a schoolhouse in your living room in no time. 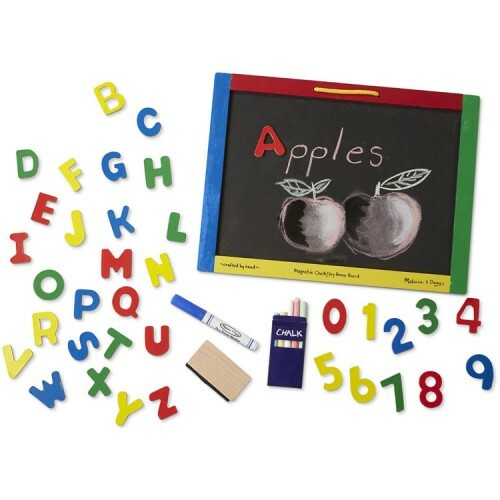 Plus, your kids will have a great time feeling like students while they build early vocabulary, math, and writing skills. 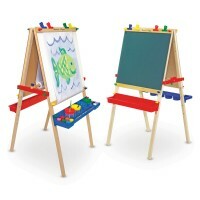 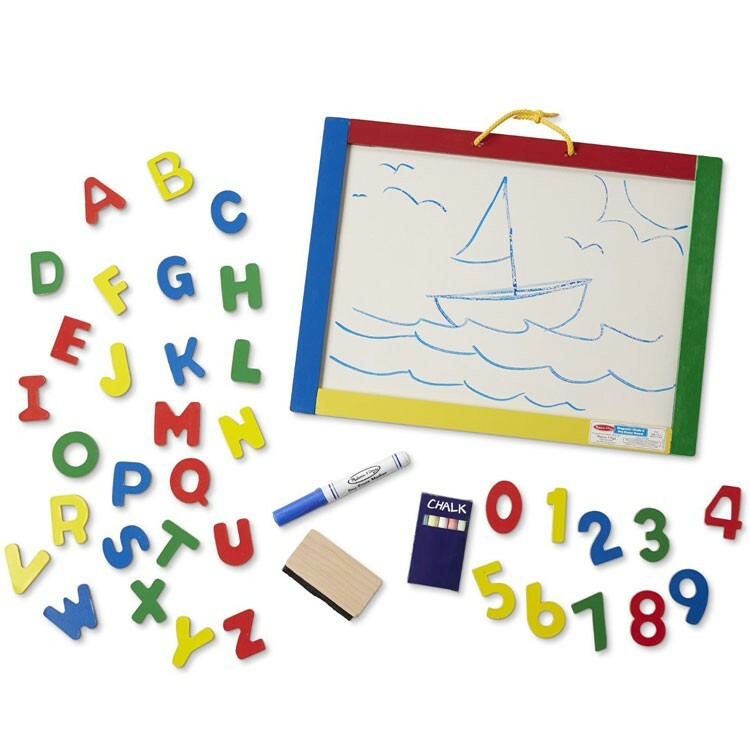 And with all the different surfaces to choose from, your child will be more inclined to write on this board than they will your living room wall! 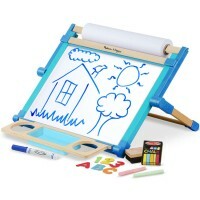 An added bonus of the Magnetic Chalkboard Dry Erase Board is its size: small enough to take on the go, whether you're heading to Grandma's house or just out to the store. 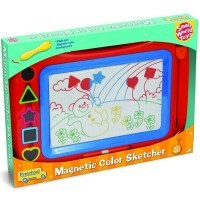 It will keep your child entertained in the car as well as at home. 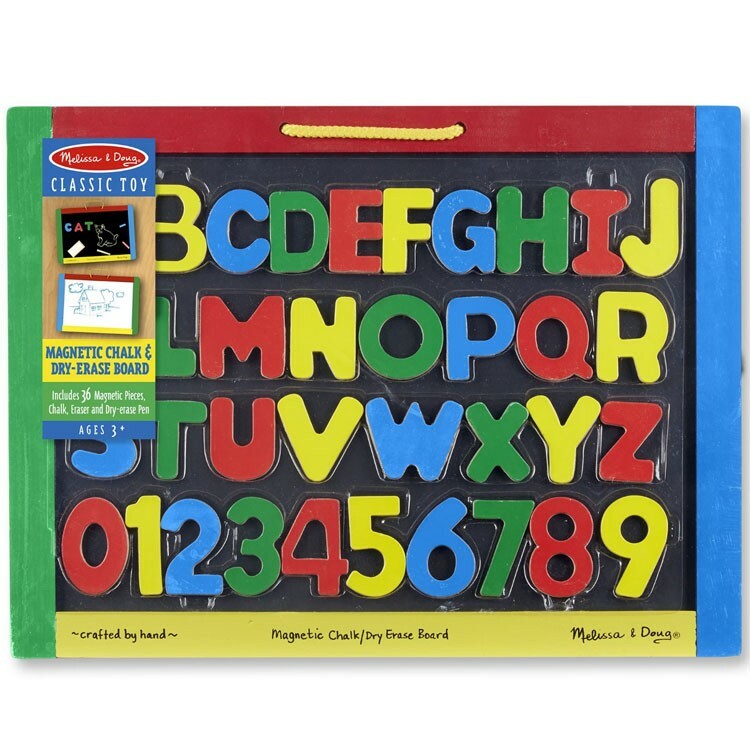 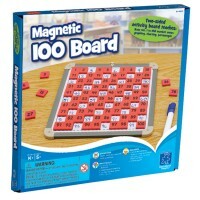 As a Melissa & Doug product, Magnetic Chalkboard Dry Erase Board from Educational Toys Planet exceeds all company and US toy testing standards. 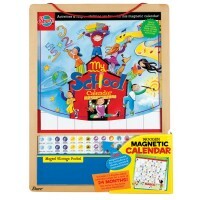 Dimensions of package 11.7" x 15.6" x 1"
Write your own review of Magnetic Chalkboard Dry Erase Board. 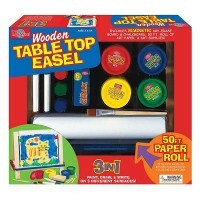 Rating: 5 by Olivia, NC Easy storage and access.